Accidents happen. People get into car crashes all the time. Bad weather is often a major contributing factor. In Utah, the number one weather related problem on the roads is snow. Snow leads to accidents for many different reasons. Luckily, we don’t see much of that in St. George. But our neighbors up the road in Cedar City get quite a lot, and there are many weather related hazards besides just snow. The two primary ways that bad weather will lead to accidents is through diminished traction, and diminished visibility. When traction is compromised, all bets are off. The roads instantly become a very dangerous place. Many weather hazards can interfere with traction. Snow might be the worst, when snow melts and refreezes on the road; the result may be ice that you do not even see. This concept is called black ice. It can cause even careful drivers to lose control of their vehicles. 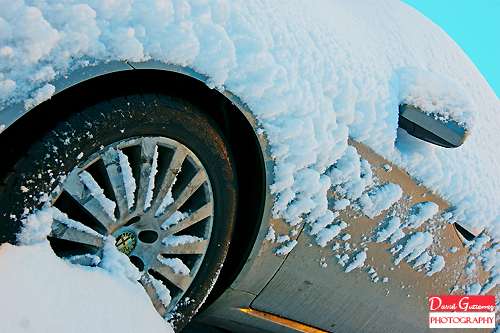 Another problem with snow and traction is that the powder can pack itself in between the traction ridges on your tire. That process can essentially make your tire completely smooth. When you put a smooth tire on a wet, slick road, you get accidents. Rain can adversely affect traction as well. Because Utah drivers are used to snow, some of us to not take rain very seriously. That can be a problem because when a layer of water builds up on the road, it becomes easy to hydroplane. Hydroplaning occurs when you attempt to brake and your wheels lock but your tires continue to slide forward on the layer of water instead of making friction with the road. Hydroplaning greatly increases stopping distance and oftentimes leads to a complete loss of control of the vehicle. Always keep in mind that in order to correct a skid, you first must turn slightly into the skid to realign the tires, and then turn away from the skid. The second major problem with adverse weather conditions on the road is diminished visibility. Being able to see great distances is what enables us to drive our vehicles quickly yet still be able to respond to the conditions around us. Limited visibility takes that away. The only truly effective way to travel safely when visibility is compromised is to travel very slowly. The problem with that is the drivers behind you will not see you in time and you may still get hit. Heavy snow, rain, sunlight, wind, and especially fog can all lead to impaired visibility on the roads. When in one of these situations, make sure that you have a clean, non-cracked windshield, perhaps a pair of sunglasses handy, and your lights turned on. Even in the daytime, turning your headlights on during a thunderstorm may be the only way that other cars will be able to know that you are on the road. If the weather gets the best of you, and you get into a car accident, look for the best injury attorney you can find. He or she can help you navigate through the tempest of your insurance claim. Car Accident Caused by Brake Failure Who Pays if You’re in an Accident in a Company Car?